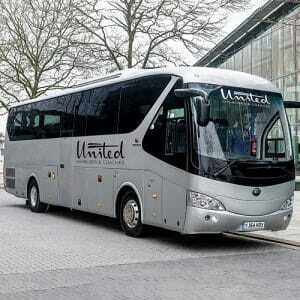 Looking For Coach Hire in Gatwick? When you need high quality coach hire Gatwick, we’re here to help. 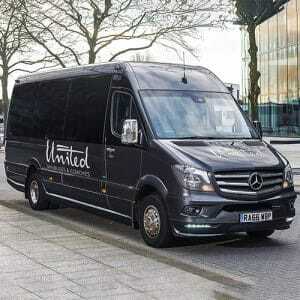 Whether you need to make it to the airport in time for your flight, whether you need reliable transportation for your wedding guests or whether you’re attending an event as a group, United Minibuses and Coaches offers some of the best value minibus hire, Gatwick has to offer. Why Choose Our Coach Hire In Gatwick? 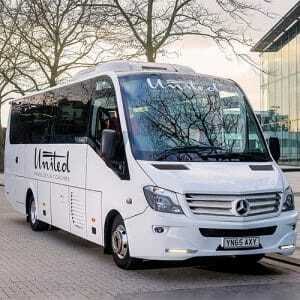 When you need a luxury coach in Gatwick to take you, your family and friends to your destination, you can depend on United Minibuses and Coaches to transport you in style. Our fleet of modern vehicles set us apart from the crowd, and since we have everything you need to ensure a safe and comfortable trip, you’ll have complete peace of mind when booking with us. 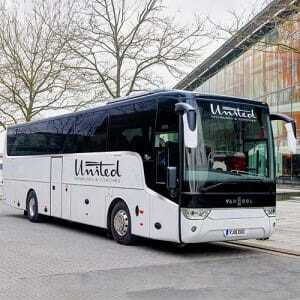 Our coaches boast seatbelts, climate control, CD and DVD players, CCTV and reclining seats for an even better trip. Our coaches are large enough to accommodate up to 57 passengers, and you can be sure that each one will travel in style and comfort. Do You Need A Cheap Coach To Gatwick? Are you heading off to Gatwick airport with a group of friends or family for your summer holiday? Our cheap coach to Gatwickservice is ideal for you. There’ll be no need to pay for expensive airport parking, and no need to worry about stressful driving conditions. 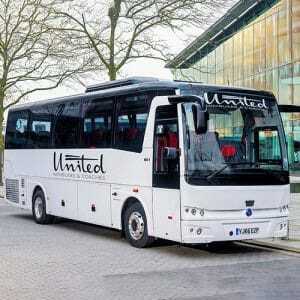 When you use United Minibuses and Coaches, you can be sure that you’ll get there on time and in comfort. It’s the most relaxing start to your holiday. When you need a coach to London Gatwick, we’re proud to be your top choice. If you’re visiting the area around London Gatwick, United Minibuses and Coaches can take you and your party anywhere you need to go. There are plenty of great attractions nearby and all can be easily reached by a coach or minibus. Here are just some of the top local destinations our cheap coachservice can serve. Hever Castle– discover more than seven centuries of fascinating history at this stunning castle which was once home to King Henry VIII’s second wife, Anne Boleyn. Just 18 miles from Gatwick, this popular attraction offers a full day out for all the family, with regular activities and a thrilling heritage to explore. The Bluebell Railway– whether you love trains or whether you’re just looking for a fun excursion into the beautiful countryside, the Bluebell Railway is a day out to entertain old and young alike. This top attraction in Sussex allows you to discover an impressive collection of vintage carriages and steam locomotives. Royal Tunbridge Wells – discover the South East’s only spa town, just 23 miles from Gatwick. Once a magnet for royalty and the aristocracy alike, this fashionable Georgian town maintains its elegant atmosphere today. Enjoy tours, shopping and fine dining in this historic spa town. Fisher’s Adventure Farm Park– enjoy a family-friendly day out in the countryside at this award-winning farm park which offers a host of indoor, outdoor and animal attractions. Even the youngest members of the family can get close to cute and cuddly creatures while older family members will enjoy the Adventure Golf, Go-Karts and Quad Bikes. Denbies Wine Estate– discover England’s biggest estate vineyard and learn more about the wine-making process in 265 acres of vines. You can also dine in one of the two restaurants and sample some of the local wine. Discover these top destinations or start your holiday in the best possible way with United Minibuses and Coaches’ luxurious minibuses and coaches. Make us your premier choice for coach hire in Gatwick and give us a call today to find out more about what we can offer you.